The Improved Sofa Pillow is a variant of the Sofa Pillow. 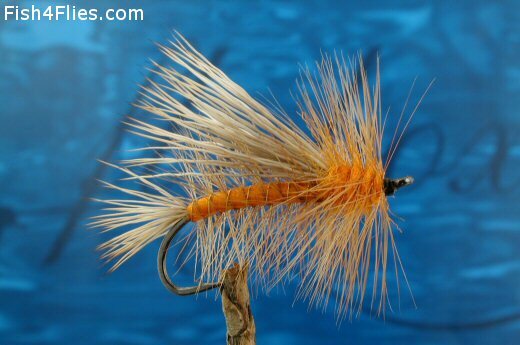 It represents the natural adult stonefly and has a closely palmered hackle on the body which gives improved buoyancy, very useful when twitching it across the surface to imitate the struggles of the natural. Thread : Black or orange. Tail : Bleached deer hair or elk. Body : Burnt orange or rusty yarn, or dubbing. Palmered body hackle : Furnace. Hackle : Brown or furnace. Currently there are no comments about the Improved Sofa Pillow fly pattern from other fly fishermen yet.